Made in the Shade: More than just blinds for your window fashions - Times Publishing Newspapers, Inc. They offer comfort, enjoyment and a sense of style and design to your environment. 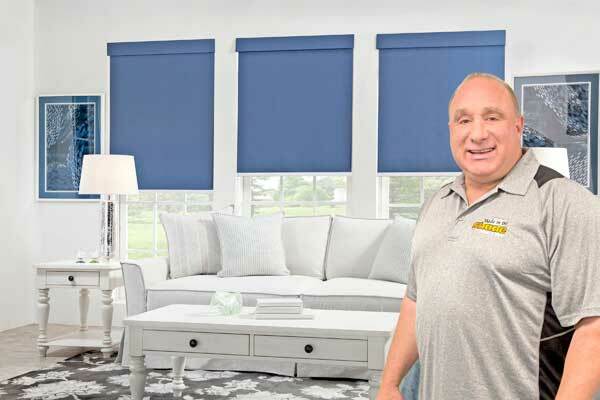 Made in the Shade Blinds & More (MITS) has been in business for 14 years, providing the highest quality, completely customizable window treatments for all your desires. Recently expanding throughout the US and Canada, MITS has come to Newtown, now serving Bucks County and Mercer County, NJ! Franchisee Tony Rich is available for all your residential and commercial window needs. Whether you’re seeking home/office improvement through blinds, shades, shutters, draperies, or a little something different than the crowd, MITS endeavors to exceed expectations and ensures complete satisfaction. In recent years, trends have shifted. “Everything can be motorized – shutters, solar shades, honeycomb shades – anything you are seeking. It can also be paired with home automation systems so you can operate and control your shades at the touch of a button from your smartphone,” Tony says. Each order you make through MITS is completely custom-made so you can request any shade or style to spruce up your home, conference rooms, or commercial buildings. Tony will visit for a free in-person consultation (completely complimentary) and provide stylebooks with endless opportunities to make your home or business just what you imagined! Through MITS, your window treatment choices are tailored to each individual desire. Tony has always been fascinated with home improvement and design, and is the perfect person to bring to your home or business if you’re looking for something extra. Instead of heading to the home goods store and attempting to rejuvenate your home or business on your own with window treatments that will likely be destroyed within a few years, save yourself the time, effort and money by calling Tony and taking a look at all he can offer your home or business. Tony can offer some of the greatest deals around as a private owner, and through MITS any product you purchase is covered under the best warranties in the industry. If your product malfunctions or breaks, it’s covered. There are so many designs and styles to choose from! Wood and faux wood blinds; roller and solar shades (designed to keep the heat out but still allow you to admire the outdoors); cellular and pleated shades; horizontal sheers; draperies and fabric shades; and plantation shutters. If you’re looking for classic style and function or something a little more unique in color, texture or fabric, Made in the Shade is the way to go. These window treatments all offer ease in operation, affordability and complement any décor in your home. Having your blinds or shades motorized offers the convenience of mobility at the push of a button. Give your home or business a timeless and beautiful look by upgrading your atmosphere and interior through window treatments provided by Made in the Shade. Learn more about the business and their offerings at MITSbuckscounty.com. Don’t hesitate to call Tony for your free in-home/office consultation and estimate at 267-201-7509 or e-mail tony@mitsbuckscounty.com. You won’t be disappointed in all there is to choose from – make your shade the way you want it, and dare to be different!